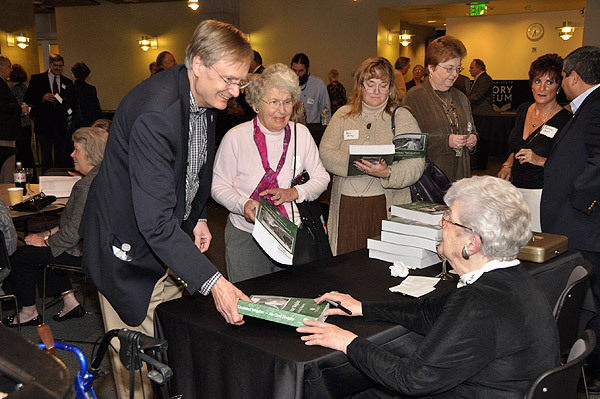 Born in Washington in 1920, R. Lorraine Wojahn grew up in Seattle, where she graduated from Roosevelt High School and attended the University of Washington, majoring in journalism. 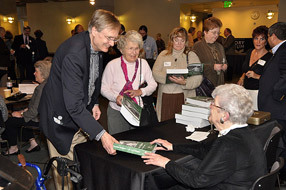 During her time as a state legislator, Lorraine Wojahn earned a reputation for strong advocacy and used her legislative skills on behalf of the poor, troubled and disabled; women and children and seniors. Much of her legislative career focused on enhancing the public health and public awareness of preventable health threats, including early work on HIV/AIDS. 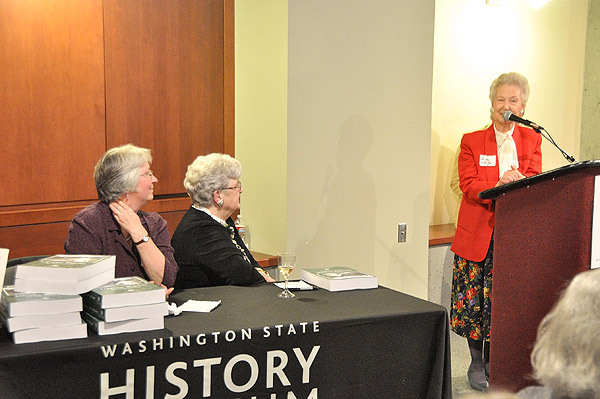 Known for creating the Department of Health and her support for the Equal Rights Amendment, she was also instrumental in developing the Washington State History Museum as well as the University of Washington Tacoma campus. 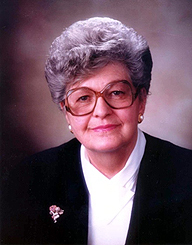 Lorraine Wojahn was one of seven women serving in the House when she arrived in 1969 and also one of seven women when she began her Senate service in 1977. In all, she served for 32 years; 10 successful elections. 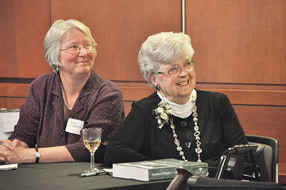 She was chair, vice-chair or ranking member of the committee overseeing health and long-term care issues. 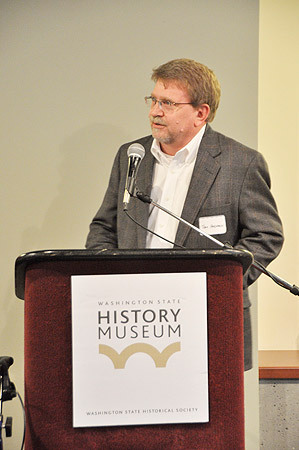 Senator Wojahn also served on the Ways & Means, Rules and Judiciary committees. She was elected by the Senate to serve as President Pro Tempore and was the first woman to preside during a session adjourning sine die. 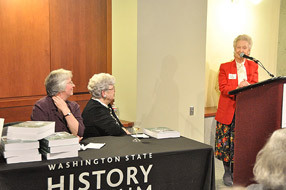 Senator Wojahn signing her oral history for former Tacoma Mayor Bill Baarsma and others. Friends and family enjoying the program during the debut of Sen. Wojahn's oral history. 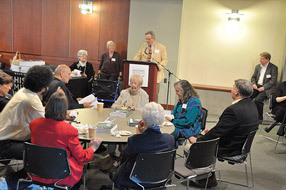 Secretary of the Senate and Oral History Program Committee member Tom Hoemann discusses the making of the oral history and shares a few memories. Oral History Interviewer Anne Kilgannon and her subject, Senator Wojahn. Senator Shirley Winsley recalling the exploits of a hard-working Tacoma legislative delegation. 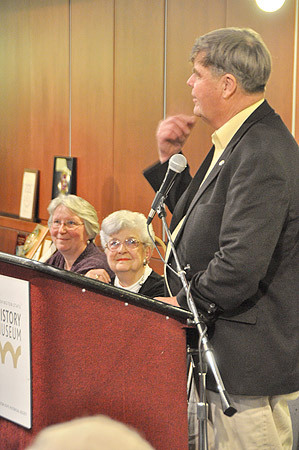 Senator Ken Jacobsen sharing his thoughts and a favorite story.